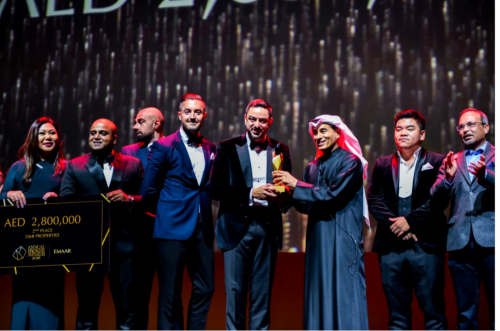 January 19, 2019 /MarketersMedia/ — At a dazzling ceremony held at the Dubai Grand Opera, D&B Properties was once again awarded for its exceptional performance in 2018. The event was held by Emaar – UAE’s leading property developer – to recognize its top 20 brokers based on revenue. D&B Properties has won the honors for being named amongst the elite brokerage firms for the second year in a row. The Emaar Annual Broker Awards is an annual event held by Emaar to honor and reward the top performing brokerage firms in Dubai and across the UAE.